With advancements in technology, voice control is the next step in the way we interact with our home and environment. 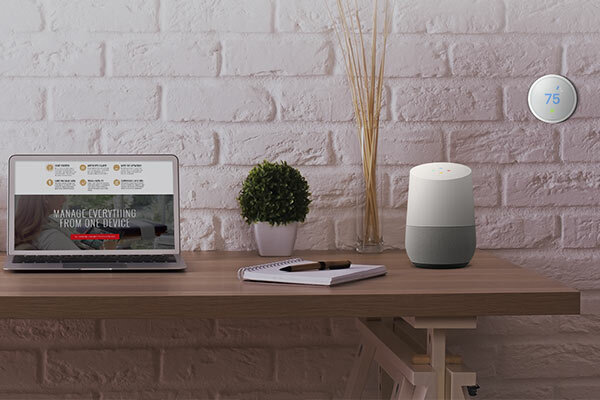 The progression of digital systems allows for the use of digital assistants to give us the next evolution of control in our homes and businesses. Voice control opens up the way we interact with our environment and allows for a new, seamless way of living. Now you can have control over all of your smart home systems with a simple request. Open and shut blinds and curtains as soon as you think of it. Turn off the porch light while you’re getting into bed. Change to the next song by asking. These are all simple and easily performed tasks that you can now achieve with a voice control system.